President Joko Widodo wants to create a single agency to control most research and its funding. 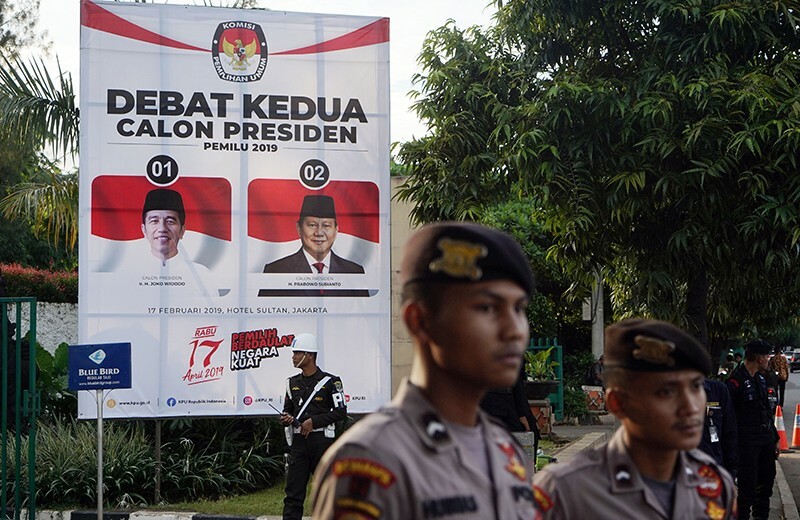 Indonesians will vote this week in a national election that pits two old rivals against each other. The stakes are high for science. President Joko Widodo says that if he is re-elected, he will overhaul how much of the country’s research is organized and funded. The main opposition candidate has been silent on science so far. Widodo first ran against former military general and nationalist Prabowo Subianto in 2014. In this year’s rematch on 17 April, the politically more moderate Widodo looks set to win again: national polls suggest he could receive about 20% more of the votes than Subianto. Widodo has introduced several policies during his tenure that are unpopular with scientists. If he gains a second term, he is unlikely to win back their favour. Widodo wants to create a National Research Agency (NRA) that would absorb most government research centres and control the 26-trillion-Indonesian-rupiah (US$1.8-billion) annual research budget. “﻿We are going to improve research by coordinating all budget allocations,” said Widodo’s vice-presidential running mate, Muslim cleric Ma’ruf Amin, during a televised election debate on 17 March. Some scientists are concerned that the national agency will take over almost all of the decision-making power and funding for science. Currently, Indonesia’s research budget is divided between 81 research centres managed by several ministries — including those for research, agriculture, health and forestry — along with several other scientific institutions, such as the Indonesian Institute of Sciences (LIPI). If the NRA decides not to support an area of research, scientists say, there will be few other sources of government funding for those projects. “The NRA will be an institution without checks and balances,” says Satryo Brodjonegoro, president of the Indonesian Academy of Sciences (AIPI) in Jakarta, which provides science advice to the government and the public. Although it is not a research centre, AIPI is earmarked to become part of the NRA. But other scientists support the proposal, saying it will bring together resources and reduce duplication between agencies. Subianto has not spoken publicly about his views on the mega-agency, but his vice-presidential running mate, Sandiaga Uno, said during the debate that it was “unnecessary bureaucracy”. If elected, Uno says, the pair’s government will boost applied science through financial or other incentives to companies that invest in research. Widodo and his cabinet have already shaken up Indonesia’s scientific community. University academics are now required to publish in international journals or risk losing some of their salary. Widodo has also introduced draft laws that, if passed by the parliament, will severely punish foreign scientists who do fieldwork without proper permits. And Indonesian scientists are annoyed with Widodo for cutting the funding his government promised the AIPI’s Indonesian Science Fund. The competitive grant-funding system was promised US$3 million a year when it was set up in 2016 to support long-term research projects, but has so far received less than half that amount. Widodo first announced the NRA in October. He says the current system is inefficient because funding is spread across several ministries and institutions. Documents produced by members of the parliament in November reveal that Widodo’s Indonesian Democratic Party of Struggle (PDIP) plans to subsume the AIPI, LIPI and an engineering institute called the Agency for the Assessment and Application of Technology into the new agency. His party has yet to confirm whether it intends to fold in all 81 government-managed research centres, too. If the plan goes ahead and the NRA takes control of what research is supported and funded, there will be potential for the agency to misuse its power to give money to the projects the government likes, says Berry Juliandi, secretary-general of the Jakarta-based Indonesian Young Academy of Sciences. He thinks that Widodo and his party are trying to mimic the Chinese Academy of Sciences, which functions as both a scientific think tank and an academic governing body. “This centralization approach is not compatible with our democracy,” he says. The NRA would also likely manage a one-trillion-rupiah endowment that Widodo set up last year to fund research separately from the national research budget, says Brodjonegoro. But the endowment fund should be managed by the Indonesian Science Fund, which is modelled on the US National Science Foundation, he says. Under the science fund, scientists would make grant decisions. “What Indonesia needs now is an independent funding body” Brodjonegoro says. The NRA will turn many scientists into bureaucrats, says a government scientist at LIPI who asked not to be named because she is not authorized to speak to the media. “All the tasks mentioned in PDIP’s plan are now being done by the ministry of research. If scientists take all those tasks, what would the ministry do?” she asks. But Laksana Tri Handoko, who leads LIPI in Jakarta, supports the proposed agency; he says it will create a critical mass of researchers and resources that could help to improve the country’s science. “But of course, its establishment is not enough to boost Indonesian research without good internal research management in the agency,” he says.